I am a gamer, of that there is no doubt. I love playing video games; I almost play them every day at the moment. I like playing all sorts of games from different mechanics, to settings, to genres; I like all sorts of games. Games however have one major flaw. I cannot blame them for this, they are expensive to make and deserve to make their money back, however it is still rather hard to buy games when they are first released as they are rather expensive. Such the expense they are, I have not bought a single video game on its day of release since Beyond: Two Souls (I think). Most games retail for the price of £40 in the UK when they are first released, and this is quite a lot of money, especially for those of us who are unemployed and looking for work. Even before that when I was on Student Loans and having a set amount of pocket money a month, about £40, that meant I could only buy a video game once a month and that was about it, and more recently I have been taken up by other hobbies and interests which sort of cut into this. As such I have not bought a game first day release since Beyond: Two Souls. It’s not like there are other games I want to buy first day of release either. I still want to play Far Cry 4, I like the look of the recent Godzilla game release for the PS3, and the number of 3DS games I would like to get for my Nintendo 3DS. I have plenty of platforms that I play on, but due to the expensive costs games can be, I find that it’s much easier now to wait a while (roughly a year or two) until they become cheaper. Most of the games I have bought through Steam, or even GOG.com are when there is a sale on, because when it goes down in price remarkably, I can just get up and buy them. As for other consoles, I usually end up now buying them when they have dropped by a rather lot. Another 5 or 10 pounds I will be able to better afford Far Cry 4. While it could be a year away, I would rather buy Godzilla on the PS3 for a much cheaper price as money is valuable, and if you can get something for a cheaper price, why not? It’s a system I have used in the past and bought Spec Ops: The Line nearly a year after it was first released. In recent weeks I have played a lot of games, and bought quite a few. Some of these I have bought for rather cheap prices from GAME (and one from Barnardo’s) Now whether or not the quality of these games are any good is another question, but some of the games I have bought recently are games I never thought I would ever play. Games like Geometry Wars: Galaxies and Tom Clancy’s Rainbow Six: Vegas, whereas games like Modern Warfare 3 and Lost Planet 2 are ones I have fancied playing in the past. The last 3 I actually got as part of a deal and only paid about £6 overall for all three of them. Most of these games though I have yet to play (at time of writing) as due to a recent busy schedule. I have been able to play Geometry Wars: Galaxies though and have found it to be rather fun. Another game I have played recently is Harvest Moon DS. I have wanted to get a Harvest Moon game on my 3DS for a while now. I like these sort of games because while the idea of a farming game does not sound all that exciting, it is actually quite fun trying to run a farm, and do all the activities needed in running one. While I have sighted lots of Harvest Moon games in places like GAME, maybe CEX too, but when Harvest Moon DS turned up inside Barnardo’s, I just had to grab it. Why? Because it was going for about 99p. Doesn’t really show confidence in price from the shop selling it, but Barnardo’s isn’t exactly a video game shop. The other reason I just had to grab it is because of an issue with the cheap games thing. While most games reduce in price in rapid succession meaning that within a year a game could be nearly less than half its normal price, DS games don’t. DS games cost the same as new games upon release. 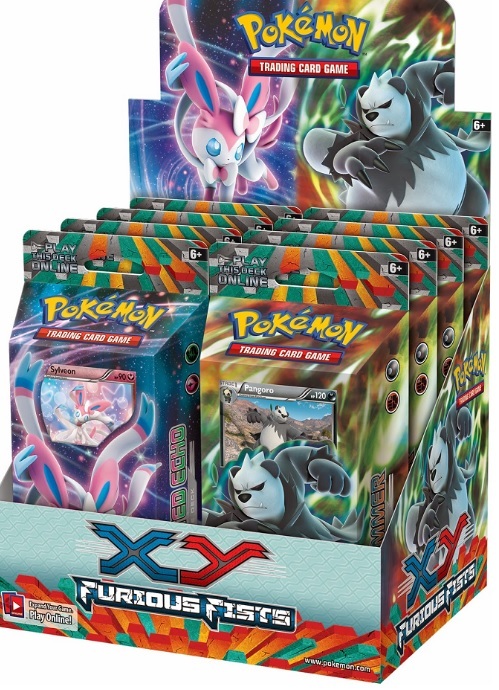 For some unknown reason (or that I just don’t know) however they don’t depreciate as quickly as other games. It could be that on one side because they are not a disc based format, are harder to make, but the lack of depreciation doesn’t make sense when you realise that the Nintendo DS is the Second Best Selling Video Game Console in history behind the PlayStation 2. So why it doesn’t depreciate is still something of a mystery. Because of the lack of depreciation though, it means that most pre-owned titles still cost rather a large amount of money, even if the game came out 2 or 3 years ago. Getting a copy of Geometry Wars: Galaxies and Harvest Moon DS then were good spells of luck as I got Harvest moon in the end for 49p, and Geometry Wars was £2.99. In the past when I wanted to buy games for my 3DS I have had to trade in games for value to buy them; such as when I bought Pokémon White. The expense bracket for 3DS game in particular means that while I do own a few games for the console (and borrow quite a few from my brother), I only have 1 3DS game (Super Pokémon Rumble) and consider it lucky that the 3DS plays all previous DS games too. Which does become rather sad when there are games I want to play on it, I will have to wait even longer to buy them. Waiting for games to get cheaper can get a bit tiresome when you want to just play them, but usually in the end it’s a lot more worth it, because even if the game turns out to be more mediocre, or just generally bad than what you were hoping for, at least you didn’t nearly break the bank buying it on day one of release. Also it means that you can play other things and try new things you didn’t first think about. It makes games less of a chore and plan as to which to buy next and the need to play the same as everyone else; something which it can easily become and more like the hobby you want it to be. You may also find a treasure or two too. For the time being I am just going to play the cheap stuff, (things pre-owned or mega cheap from GAME, CEX or That’s Entertainment), or things in the GOG.com and Steam sale seasons, but right now I have 3 PS3 games that I need to play, plus finish Beyond: Two Souls (I restarted playing it as I was too far behind). This past week, I reached what was possibly a sad milestone in terms of my love and interest of Video Games. 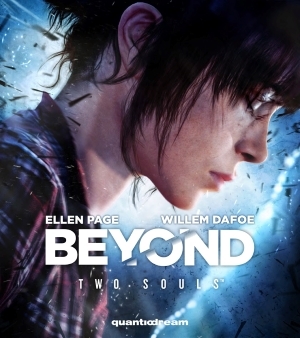 I bought Beyond: Two Souls for the PlayStation 3. I have been looking forward to the release of this game for a long time, even before it had been announced or known about. Why?, it was produced by Quantic Dream who back in 2010 released Heavy Rain which remains one of my favourite games on the PS3. But you may be asking, why am I sad about a game I have been excited so much about. While my love of Video Games has flourished over the last 7/8 years, I am reaching a major stage in my life. For about the last couple of years I have begun to play less and less video games and do more things of different kinds. If you were to look at me in 2010/2011, Video Games were my main hobby and had been that way since 2001. But now, due to new interests, it no longer is my main. While I continue to love Video Games, I don’t have as much passion as I used to, new interests such as Board Games which I have loved since being a boy as well as my new-found interest in books again which was something that had laid dormant in me for a number of years now, has begun to flourish. Purchasing Beyond: Two Souls is sad for another reason also, it represents the end of lifespan as one of the main consoles. The 8th generation has already begun, but it will enter full swing in a few months’ time and the PS3 will no longer be one of the main consoles on the market, and for me that feels sad. The enjoyment I have received out of it and will continue to receive will begin to die out as the new consoles take centre stage. But for me, this is not the first time this has happened. Since being a boy I have loved playing games. Games are fun, exciting, enjoyable experiences. During my early youth I have played on many game consoles belonging to friends and family members including Sega Master System II and Sega Mega Drive. My first personal console was a Game Boy, an original one and it was big and yellow and I had a couple of Mario Games for it. 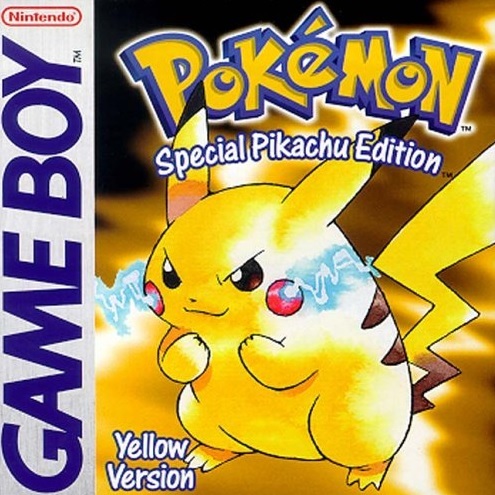 However this got stolen (along with my copy of Super Mario Land 2: 6 Golden Coins) when the house was ransacked by a bunch of thieving burglars which is pretty self-explanatory but several weeks later I got a replacement in the form of a Game Boy Pocket which was Red and a lot smaller than my nice chunky Yellow Game Boy. But I still had a great time playing games with it. I loved making movies with my Game Boy Camera, took on pirates in search of a treasure in an attempt to build my own private castle in Wario Land and I hunted, caught and trained several pocket-sized monsters in Pokémon Yellow. I even got to smash-up boulders and punch monsters with a Godzilla Game Boy Game. Those were great times when I could lose myself in a personal game and go on adventures and even have little projects to myself with my Camera. Those were great days and while other Game Boys were released such as the Game Boy Colour, Advance and Advance SP. I was pretty much content with my little handheld. In late 200 when just starting at High School I received a Nintendo 64 from a friend of my Brothers. With it I got several games including Star Wars: Squadron and Goldeneye 007. My collection of games for it grew and grew with purchases of games including F-Zero X as well as presents at Christmas and Birthday’s with games including Pokémon Stadium 1 and Pokémon Stadium 2. I also was able to borrow games for the console from Blockbuster. It was a great multiplayer platform with a lot of fun crafted into the games produced. I went on a shooting spree in games like the Brilliant Goldeneye and The World Is Not Enough ( starring the unkillable Ape Face). I whizzed past my rivals in F-Zero and Mario Kart 64, and I battled Tooth, Nail and Electric Shocks as well as try powerful Sushi, learned how to dance, chopped logs and delivered Christmas presents in Pokémon Stadium 1 and 2. It was during my play time on Nintendo 64 that rumours started appearing as to Nintendo’s Next Console, the Nintendo Dolphin. I had no idea what it was going to be like, but it was appearing at a time that other new consoles started to appear. In late 1999, Sega released what would be their last major console in the form of the Sega Dreamcast which while it was short-lived, has been regarded by many as one of the greatest game consoles and it introduced and pioneered many elements that would become standard with in the industry including online gameplay. Around about the same time as the release of the Dreamcast, the long-awaited PlayStation 2 was released which became the number one bestselling console of its generation. The Nintendo Dolphin eventually arrived in the form of the Nintendo GameCube in 2002. I asked for a copy for the following Christmas and received one with a copy of Godzilla: Destroy All Monsters Melee. This was the point that Video Games would become my main hobby. I would come back from school wanting to play some more on it over and over again. Soon after getting one I got an extra pad, memory card and some shelves for games for about £25. My game collection for it grew over time with me acquiring copies of games like Star Wars: The Clone Wars and Sonic Adventure 2 Battle. I got to try out games from Blockbuster and sometimes bought those that I like a lot. Over the 4 years that I had the console my collection continued to grow more and more. My multiplayer experiences were very enjoyable with games like the amazing 007: Nightfire. I was whizzing around tight bends and almost crashing cars in Need For Speed: Underground, Mario Kart: Double Dash!! and F-Zero GX. I was going on adventures in Sonic Adventure 2 Battle and Sonic Heroes. I was battling to stay alive in Mortal Kombat: Deadly Alliance, I was fighting on the frontline in Battalion Wars, I wrestled to become World Champion in WWE Day of Reckoning 1 and WWE Day of Reckoning 2, I collected Stars and Coins in epic multiplayer duels in Mario Party and I was even milking Cows in Harvest Moon: A Wonderful Life. While there were those at school who said it was stupid to have, I did not care; I was having fun, lots of fun. Not only that, but the GameCube did have some things over its rivals. The Memory Cards were small and cheap but had plenty of rooms for games and the pads had built in Rumble Packs meaning a cartridge did not have to be bought for them to feel like you were in the heat of the moment. And even after the Xbox was released and had built in memory and had games on it like HALO: Combat Evolved, I was still satisfied with my little GameCube. Others could play DVD’s on their consoles; I didn’t really have any DVD’s so I saw no point in having that feature. 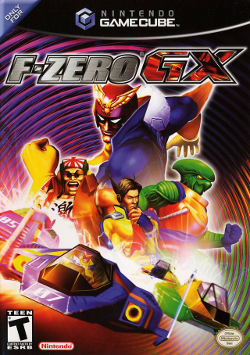 I remember a time when I played for hours on F-Zero GX (My Favourite GameCube Game) including not realising the passage of light or time as it was once 11:00pm when I finally stopped playing it, did I mind, no, I was happy. At the time of all this I used to collect CUBE Magazine which sadly ended in the blink of an eye in 2005. CUBE magazine offered many in-depth news of Games coming out in the near future and easy to understand reviews. It was when reading it in about 2004 that I heard about the Nintendo DS. What I thought was going to be the next home console turned out to be a hand-held that would take the world by storm. In mid-2005 I first heard about the Nintendo Revolution. 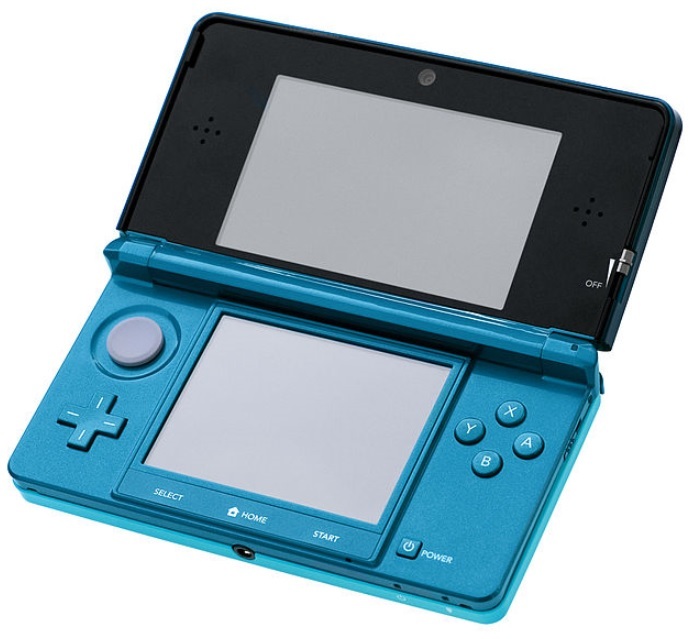 This would become the next home console for Nintendo when released in late 2006. My enjoyment of the GameCube still continued, but over time, its oncoming end was apparent. I could see it particularly with how hard it was to get new games. 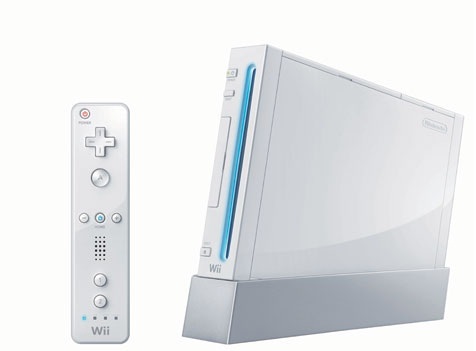 By June 2006 my concentration had now turned its eyes to the Nintendo Revolution, now known as the Nintendo Wii. As the excitement grew to this new console, the more and more I could not wait for its arrival. However, being a Nintendo Console, the criticism came in thick and fast before the consoles eventual release (which still happens to this day despite the company’s illustrious career). But most of everyone’s attention was more on the release of the Xbox 360 and the soon to be released PS3. How wrong they were when the Wii started breaking all records. 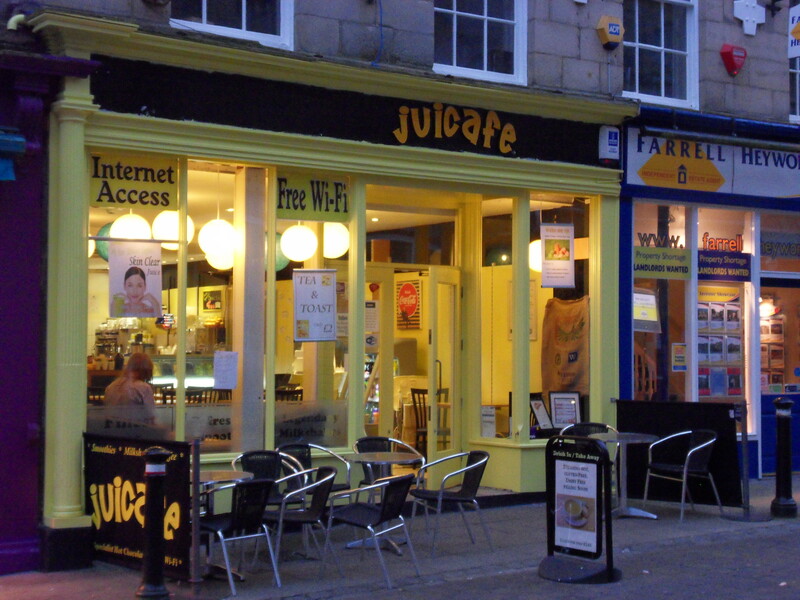 Its appeal came from its more casual gaming approach allowing more people to play games, different groups of people too, older people, mums and dads. Whole families could play games together. The Wii became a must have toy for everyone. It became a party tool for when numerous people were round. Whole hosts of games were developed for it from Party Games for the whole family, to shooting games for the more hard-core gamer. And this came from the Wii’s pioneering Motion Control feature meaning that games were no longer about causing thumb seizures and more about being part of an experience. Nintendo opened up the Games Market to a whole new world, one that the competition did not even notice or think about. I was one of the people who felt the benefits of the Wii. I had a great time Boxing and Playing golf with friends in Wii Sports and Wii Sports Resort as well as drive around corners in Mario Kart Wii, take on the Yakuza in Red Steel, lead a Nation in Little King’s Story, take on Savage Rabbits in dancing contests and played with them in rock bands in Rayman Raving Rabbids and attempted to keep fit with Wii Fit. It was a great time to be a gamer. But part of me wanted to play other games too, games that were not as available on the Wii, games like Motorstorm or the upcoming MAG. So in 2009 I bought a PS3 with Killzone 2 and Far Cry 2, eventually getting Motorstorm Pacific Rift for my Birthday. The PS3 would eventually become my main console as while the Wii was fun, it did not have much for a solo gamer. While I did not have much of a Multiplayer Experience with the PS3, it was like playing my GameCube all over again, getting lost in the game, in the story. 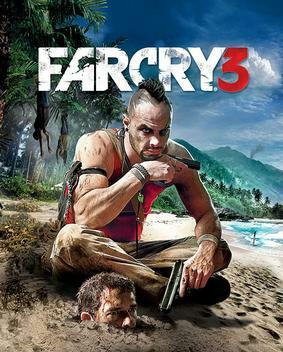 While Shooting games like Killzone 2 and Killzone 3, Battlefield 3 and Far Cry 2 were mainly my favourites. I thoroughly enjoyed a range of other games too. Adventure Games like Brütal Legend and Fairytale Fights gave me new worlds to experience and Heavy Rain showed that games could be more than just games. But there was always some room for some racing with games like Motorstorm Pacific Rift, ModNation Racers and Test Drive Unlimited 2. It was still a great time to be a gamer. So what changed, how did I go from being so incredibly happy playing games, to games no longer being my number 1 hobby? 2012, in March 2012 I saw The Hunger Games at the cinema, I loved it so much I bought the book and got back into reading, I got lost in an amazing world and over time I began to read more and more. At the moment I am reading the Incredible GONE series by Michael Grant. In turn I began to write more and recently entered some writing competitions. But it wasn’t just books and writing. I started to play Board Games more and more. Board Games was mainly a thing I did once, maybe twice a year at Christmas and on Holiday, but after finding a group at a local café in my home town, I started playing them week after week and still do. I spend less of my pocket-money on games, and more on Board Games. But another reason is that in 2012, there was hardly anything that I wanted to get. The Wii was on its last legs as there was hardly anything worth getting, particularly with more attention on the upcoming Wii U. I only bought 2 new releases in 2012, Twisted Metal and Far Cry 3. Even in 2013, there was hardly nothing I wanted with most of the games I bought for the PS3 being old second-hand games. Beyond: Two Souls was really the only new release I got. Most of my attention on Computer Games I want to play turn to the PC with Games on Steam. Nowadays, when I walk into a GAME Shop, I just look at old stuff that I could get cheap. I spend more time looking at Board Games, than I do at Video Games. When I was studying Video Games Development, I always assumed that Video Games would be my Major Hobby, but now, it isn’t. It still is a hobby, but not my major one. When you are young you don’t see how you change as you get older, it is only now I see this change. Video Games will always be a part of me, this blog started as a result of my Interest in Video Games. I look forward to games to be released on Steam and GOG. I play some games multiple times; I still look at Games I want to play and continue to look forward to and enjoy E3. I have a Nintendo 3DS which I play Pokémon SoulSilver on every now and again, I even want to give Ouya a go, as for any of the other consoles, well it depends on whether or not a game comes out on one that I really want to play, maybe a Wii U or a PlayStation 4, probably not an Xbox One though, unless I am extremely desperate to play Titanfall. For over 10 years, Video Games have been my interest, hobby and passion. While I feel like that this part of my life has now ended, I am thankful for experiencing it and having so much fun in the process. But this is not the ultimate end as I will continue to play Video Games, have fun with friends in multiplayer, experience stories and great characters while also getting involved in these amazing worlds and experience the escapism and involvement that they include. I love gaming, and a part of me always will. GENEPOOL (Don’t forget to have a look at my article celebrating the 5 year Anniversary of the Nintendo Wii).